World War 1 Flying Aces: The Best Air Aces of Australia and New Zealand: ANZAC Pilots and Their Stories. The ANZACs go to War. And in the beginning.... there were no parachutes, no rules of engagement, no experience and often just 48 hours of flight training. World War 1 Flying Aces: ANZACs who tamed the skies above the trenches in WW 1; by Pearldiver. The boys from DownUnder who volunteered to fight for King and Country, in far away places. To an entire generation of young men, army recruiters sold the ‘Great War’ as a wonderful adventure, in picturesque places so far away. The world was at war; New Zealand and Australia were a distant part of the British Empire and in World War 1, ANZAC Flying Aces were to help tame the skies above the trenches. Throughout these young countries, only the cream of youth were accepted to serve King and Country in what they were to soon find out; really was merely an invitation to become cannon fodder for incompetent British Senior Commanders. Politically, in Europe the assassination of Archduke Franz Ferdinand, heir to the Austro-Hungarian Empire and his wife by a Serbian activist in Sarajevo; had provided the German nation and her allies an excuse to go to war. The Allies obliged them and from every corner of the British Empire a general call to arms was made. The Great War had begun and the 'acceptable' level of casualties for the Generals to justify their incompetence exceeded a million young men. This looks at the young pilots in a fledgling Air Force during that war. Attack the Enemy's 6 O'Clock. The German Ace Oswald Boelcke wrote 'Dicta Boelcke' the war manual for his pilots. The allies learnt from him also, but it was usually too late! A German pilot crashes into the history books after his plane is shot down. In August 1914, the British government stood with France and Russia in calling upon Colonial allegiances to arm, train and provide troops; the Australia and New Zealand Army Corps or ANZACs were born and they would be commanded by British generals. The young men and women of New Zealand and Australia were called to arms; responding without question, to form an Expeditionary Force sailing to a peaceful Egypt for training; prior to deployment. Two young countries destined to provide the highest number of troops per capita than any other ally; 400,000 in total; all for king and country; many for sacrificial cannon fodder. The healthiest and fittest ANZAC men were off to fight the ‘Hun’ who had been portrayed as crazed and inhuman killers of babies. ANZAC women, stepped into the jobs that the men had held, though many, having been shown how Florence Nightingale applied bandages; signed on as nursing staff with the medical corps, to help the boys. Men who were older or less fit joined the merchant marine services who would sail the pea green seas with no fear; supplying the ally war machine. At home, the remaining population also did their bit; prepared to sink their savings into War Bonds and donate pots and pans for smelting; to help the boys. The 'wonderful adventure' had begun and none of them could have ever imagined how this war would change the world as they knew it. In true pioneering spirit our troops rolled up their sleeves and made ready; for the healthy hard work that only a pioneer’s son would know. The best that our nations could give; all destined to shed their lifeblood in far away lands; on the seas, on the beaches, in the trenches and in the air. The Anzac troops came along way from the open spaces of home; to live and die in a small space within the trenches of Gallipoli and France. 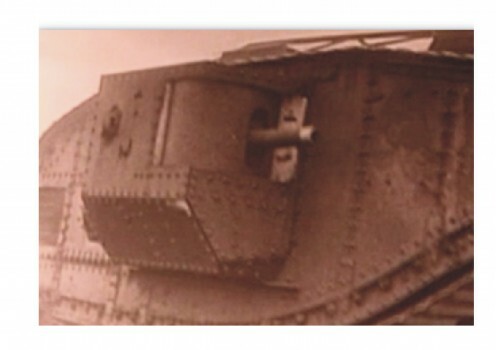 To counter the effectiveness of barbed wire and machine guns, the allies introduced tanks on the front. The soldiers often crossed 'no mans land' behind the tanks. On 25th April 1915 the ANZACS landed at Gallipoli to fight the Turks on the slopes of ANZAC Cove. The British politicians had hoped that winning this action would convince the Turks to withdraw from the war and thus allow the Russians and the allies greater ability against the Germans. Gallipoli proved to be the place that our young ANZACs came of age. A costly demonstration of poor judgements and leadership from the British. After eight months the allies deserted this barren peninsular; having collectively suffered 215,000 casualties. The Turks had lost 300,000 men. Our ANZAC troops were then posted to fight the Germans in the trenches of Belgium and France on the Western Front. In both arenas, the battle tactics of the generals were based solely on the laws of attrition. 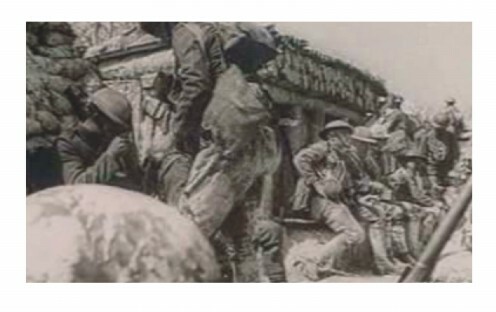 On the Western Front, life in the trenches was one of slaughter, never ending artillery bombardment, bayonet charges, barbed wire, mustard gas, constant rain, dysentery, rats, lice, snipers, rotting corpses and mud so deep that wounded men drowned in it. 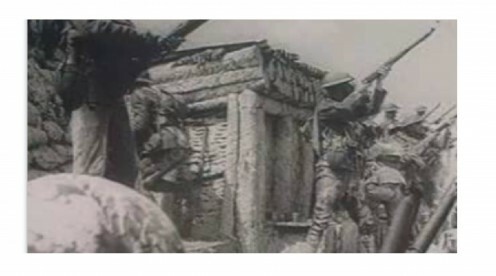 After Gallipoli the ANZACs had little respect for the British lack of reliability; especially when it came to supply, fighting ability and mistakes. As a result, the ANZACs chose to show their disrespect by not saluting junior British officers, who were regarded as being incompetent. 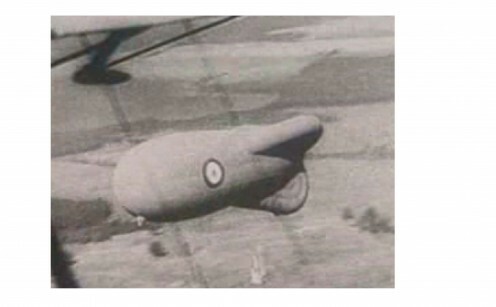 Before parachutes were in use the observers had to slide down a rope to freedom, before the balloon burnt; if they were attacked from the air. Each day somewhere in the trenches, an observation kite balloon was launched with one or two men in a wicker basket suspended under it. The observer’s role was to report on the enemy, so artillery could be accurately brought to bear upon them. Each side used this method and each side did whatever they could to bring down the stationary balloons in flames. An observer’s life tended to be a short one; as snipers, machine guns and then, aircraft attacked the sitting target. The power of flight changed the dynamics of warfare; as the infantry watched from the trenches; in the skies above, on paper wings; a new warrior was born. To those below, the gladiatorial airmen provided a form of entertainment and wonderment for both sides, as they showed off previously unseen skills to gain advantage over lesser pilots and for the cheers from their own troops. Who will survive the charge? And now they run with bayonets fixed at the enemy who must kill them, or be killed themselves. If they survive, tommorrow they will do it all again! When the commander blew a whistle, our men scrambled out into the open, to get over the barbed wire and the dead; to face the guns of the enemy, who also heard the whistle! The First World War changed the way opposing armies faced off against each other. This was a war in which experimental killing or maiming weapons such as; chemical gases, tanks, flame throwers, barbed wire, aircraft and bombs were introduced to the battlefield. In safety, the generals and politicians studied the effectiveness of new toys and made the poor decisions that killed our boys. 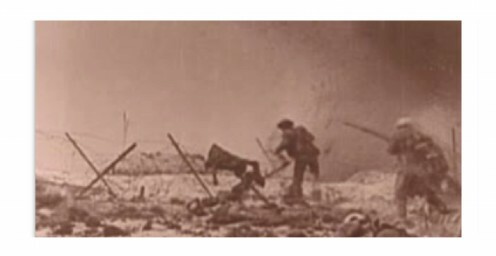 During the lulls between the artillery barrages, a whistle was blown to order to go 'over the top' and charge across 100 yards of ‘no man’s land’ in the hope that enough would survive the onslaught to overrun the opponent’s trenches. In this way, each side scrambled up and over the tugging wire with bayonets fixed; to charge the rifles and machine guns of other young men; who in peace could have been their mates. 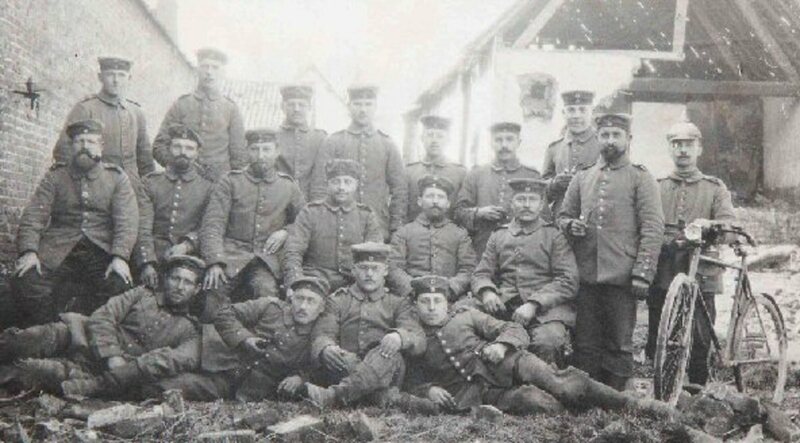 In the 'great' war of 1914 – 1918, for king and country; all boys lost their innocence, all boys became men. For any men who refused to fight or were in 'shell shock' from the percussion of explosions, or mentally traumatized by the horror; the British ordered them dishonoured and executed for cowardice. 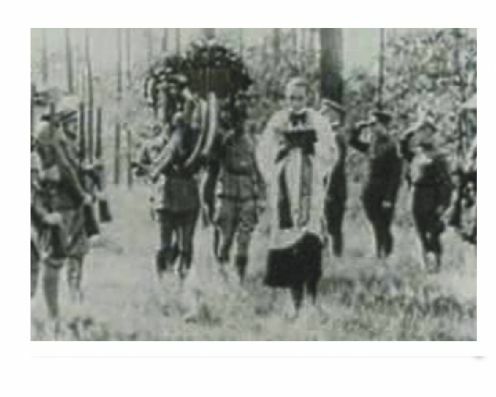 Many Anzac servicemen felt Sir Douglas Haig should have been shot for not only the strategic blunders, but also for the signing the death warrants of clearly shell shocked allied men, whom he accused of cowardice and had executed as examples to others. The free thinking Aussis and Kiwis, as volunteers, rightly despised the autocratic incompetence of those who stayed safe behind the lines and considered the unwarrented losses of others as being an acceptible casualty rate. Without a Propeller you Crash. Many young airmen shot their own propellers off by attempting to fire between the rotations of the blades. The Germans were first to solve this problem, by calabrating the guns with an interrupter cam. 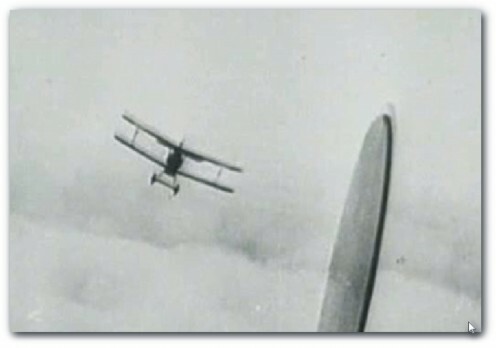 With this monoplane the Germans gained the upper hand; until the allies also introduced a similar interrupter cam. 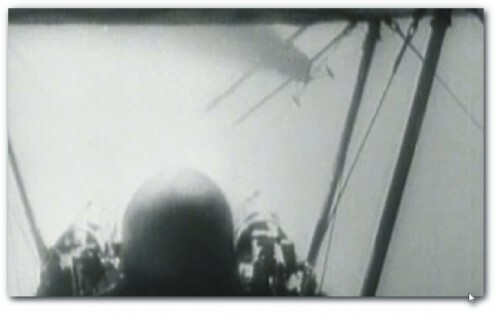 Initially the airman’s job was to shoot down observer balloons and any foe who would challenge them in the air. At first this was easier said than done, as the pilot was often required to get in close, while avoiding anti-aircraft gunners and shoot down the balloon with handheld weapons. Twin seated aircraft carried a pilot and a rear gunner observer. 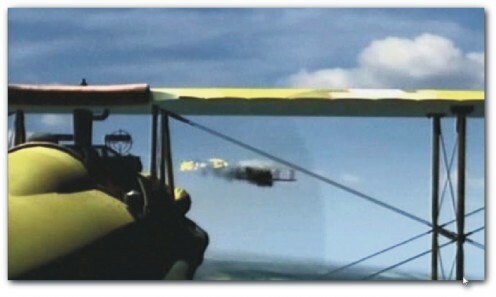 For single-seated aircraft in combat, many suffered the fatal indignity of shooting their own propeller off, until a machine gun was attached above the pilot on the upper wing of a biplane; at the expense of accuracy. 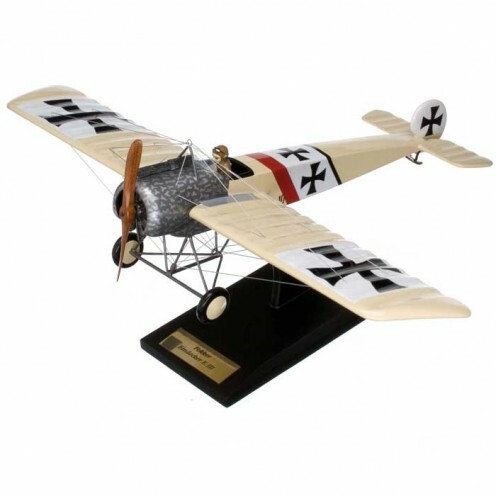 In April 1915, Dutch engineer Anthony Fokker, provided the Germans with the Eindecker, a powerful monoplane fitted with an interrupter mechanism which allowed synchronized firing of a forward mounted machine gun, without the loss of it propeller. It was not until a crashed Eindecker gave up this secret, that the allies built a similar cam system into their planes. When they did, their airmen became almost as proficient as the better trained German pilots. 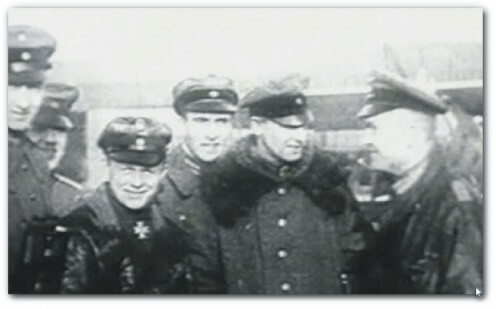 German Pilots; All of them Aces. The discipline, effeciency and commitment of the German pilots ensured that the allies would loose many pilots. Tactically, it was a German who wrote the battle manual for aces. The troops tried to shot pilots. Here Anzac soldiers shoot at an enemy pilot flying over ally trenches, in an attempt to bring down his plane. To be an Ace: Gain 5 Victories. As a result the Fighter Ace was born. Universally, by downing 5 enemy aircraft and/or balloons; the pilot was recognized as an Ace. Skills, luck, egos, time and survival would dictate who would ultimately be the Ace of Aces, in any given week. To the young flight school recruits the odds of becoming an Ace were 20-1, provided they could survive beyond the average combat life span of under a month. However, irrespective of their life spans, no pilot would trade the freedom of the skies for a lice infested trench job. For the young ANZAC airmen who had little respect for British army starchiness and leadership after the disastrous Gallipoli campaign; the Flying Corps allowed a real adventure, beyond any that they had been promised by recruiters. In Britain, new squadrons were foundered to accommodate the new breed of warriors who came together from all over the world. They fought for King and Empire and the international elitism of becoming an Ace, not only for their squadron and mates; but also for their home nations. They wore winged insignia over their hearts and ruled the world above in machines made of wood, wire, canvas and paper. Grid Caldwell became an Ace in a Nieuport. NZ Ace of Aces went back to the farm after the war, like so many other Anzac servicemen. Frederick Stanley Gordon was an Ace with 9 kills by the end of the war. A mate and brother in law of Grid Caldwell. New Zealand's Ace of Aces. Major Keith Logan Caldwell of New Zealand was born in 1895 and was one who transferred from the Infantry to the Flying Corps after Gallipoli. From flight training in Britain, in July 1916 he was posted to 8 Squadron patrolling the battlefields of France. When he successfully shot down a German Rowland C11 over Grevillers-Bucquoy on 18 September 1916; his first victory demonstrated that he was a talented pilot; though his poor marksmanship would cost him many opportunities. The kiwi was reassigned to fly a Nieuport Scout with 60 Squadron in November 1916. On 11th December he forced down a German Albatross C behind Allied lines and was said to have met and had a celebration beer with the German pilot prisoner. It wasn’t until 14th June 1917 before ‘Grid’ Caldwell gained his third victory over Drocourt; downing a new Albatross D111 piloted by the German Ace Hermann Becker, who survived to fight another day. On 24th June 1917 while on patrol over Douai, Caldwell spotted a flight of four German Albatross D111s and engaged them in a Dogfight. When he succeeded in downing the leading Albatross; Grid Caldwell became an Ace. No time to celebrate though as his squadron mate was being attacked by the other three Germans. So he attacked the Albatross on his mate’s tail and scored another victory and his pay for the day; as the remaining Germans broke off the fight. 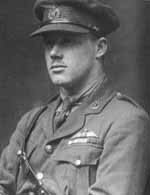 With yet another three ‘kills’ Caldwell returned to Britain as a flight instructor in October 1917. In April 1918 Grid Caldwell was again back in France; but now as the commanding officer of 74 Squadron, flying S.E. 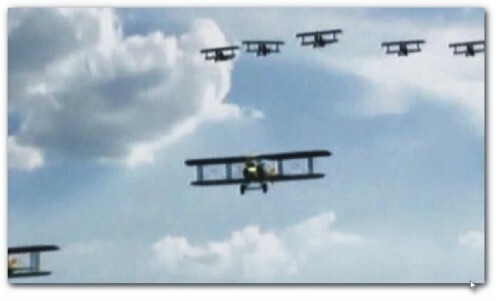 5a biplanes. Before the end of the war, he had experienced a mid air collision and scored yet another 16 aerial victories. Major Keith Logan Caldwell or ‘Grid’ to his mates; survived the war and will forever be; New Zealand’s Top World War 1 Flying Ace. 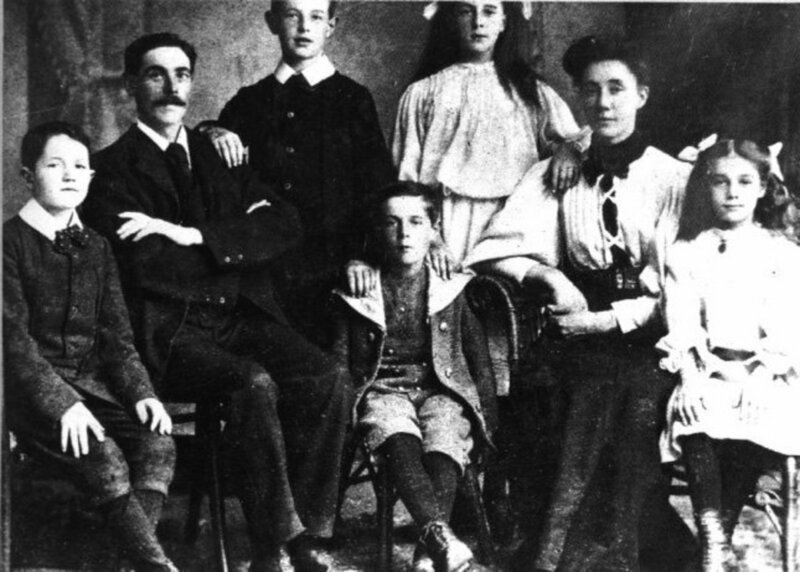 He married the sister of another kiwi ace; Frederick Stanley Gordon and enjoyed the quiet life of farming until once again he was destined fly fighting planes. This quiet achiever loved flying so much that he also served in the RNZAF during World War 2, inspiring younger kiwis who saluted him as Air Commodore Caldwell MC, DFC, CBE. Captain Robert Alexander Little inspired two Downunder nations and every man he served with. Bob Little became an Ace in a Sopwith Triplane and became a master warrior and performer at its controls. 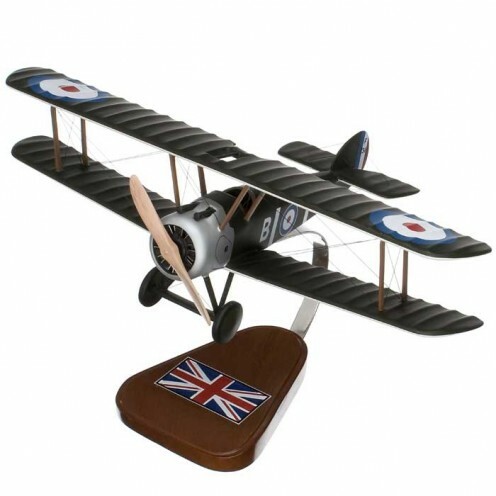 The Sopwith Camel was responsible for nearly 1300 kills in the latter period of the war. Bob Little helped that tally. The Ace of Aces Shot Down on the same day that Bob Little was downed. Manfred von Ricthofen was respected on both sides long before he scored his 80th victory. German Ace against Australian Ace. Bob Little managed to crash land his crippled Camel and walked away. Anzac troops and airmen bury the Ace of Aces with Full Military Honors. Captain Robert Alexander Little of Australia was born in 1895 and joined the Royal Naval Air Service in 1915, before his 20th birthday. After flight school, ‘Bob’ Little was transferred to France where he served for several months as the bomber in two seated machines. In October 1916, Bob Little was transferred to 8N Squadron; gaining his first victory on 23rd November 1916 near La Bassee, in a Sopwith Pup. His next 3 kills were also gained in his Sopwith Pup between December 1916 and January 1917. Scoring 4 kills over this short period of time showed that Bob Little was a very talented and aggressive pilot. At 7.30pm on 7th April 1917, piloting the new Sopwith Triplane; Bob Little became a Flying Ace after downing a German Albatross 111, near Lens. During the month of April his squadron were called to fly numerous sorties in which they encounted overwhelming odds. 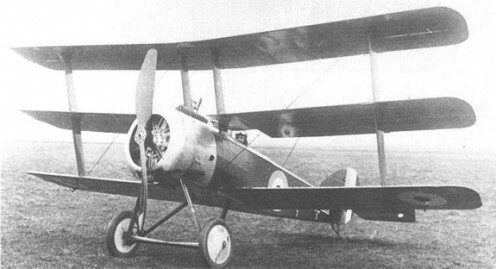 Aircraft shortages requiring the squadron ground crews to patch and repair the same wooden planes continuously until replacements could be delivered. On 24th April after dispatching a D.F.W. 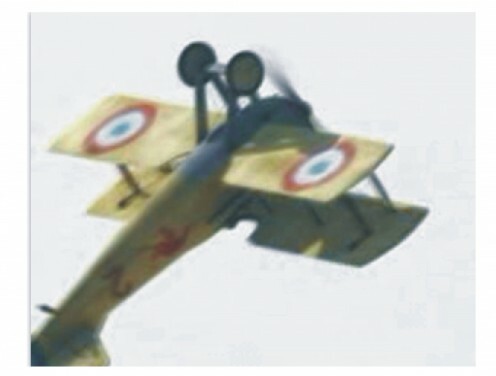 Aviatik C over Auchel, Bob Little returned to his field with his 8th victory and a triplane so badly damaged that it could only be used as spare parts. Perhaps the experience confirmed to Little the importance of a dedicated maintenance team; as from that point onwards he always apologized to them if he returned to base with any damage at all to his machine. 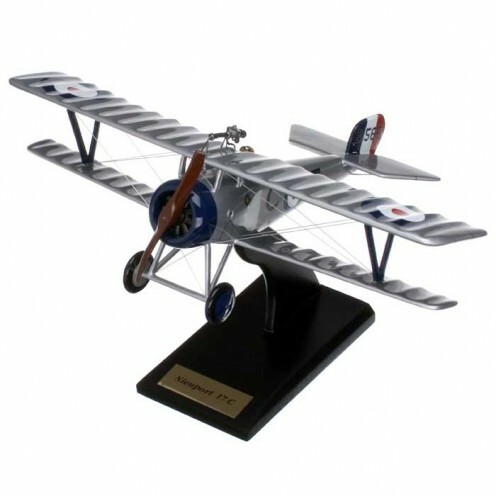 A highly respected officer and outstanding pilot, Bob Little knew his next Sopwith Triplane so well that he regarded it as an extension of his personality. As such, Bob Little nursed machine number N5493 through the next 3 months until it was replaced with the improved Sopwith Camel on 11th July 1917. Within that 3 month period he had downed 20 enemy aircraft, taking his tally to 28 victories. Easily mastering the temperamental Sopwith Camel; on 12th July 1917, Captain Little showed the folks back home why he was the top Australian ace and a hero. Over the next two weeks, the young man from Windsor, Victoria, surgically removed another 10 enemy machines from the skies above the trenches. Bob Little’s reputation also impressed other allied aces and who constantly studied the tactics of the top performing German Justas, some of which were full of top aces. 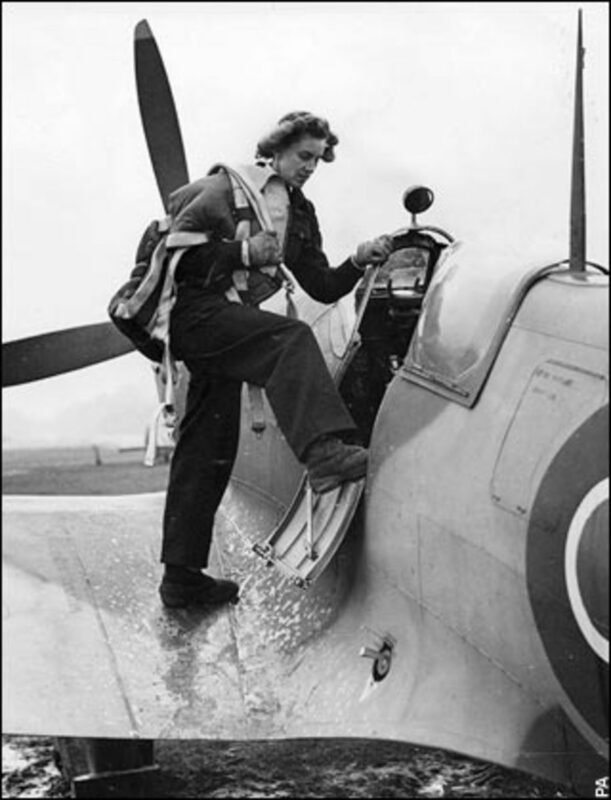 The British adopted a similar tactic and handpicked senior air crews to fill 203 Squadron. He was squarely in the sights of Canadian Ace Raymond Collishaw and the offer of flight commander helped Little make the move in March. April Fools Day 1918 near Oppy; was not such a funny day for a hapless German Fokker DR1 pilot; who lost his life and his plane to 203 squadron’s newest recruit. On 21st April 1918 Bob Little shot down his 6th enemy plane for the month near Bailleul. Within a few minutes his own Sopwith Camel was in the gun sights of the German ace Friedrich Ehmann. Bullets from the twin Spandeau machine guns tore into Little’s plane as he nursed the Camel back over ally lines; crashing unceremoniously, but luckily walking from the wreck with his life. Not far away, again over the ally trenches on this eventful day, another German pilot also lost his life. The 53rd Australian Field Artillery Battery had fired on a red Fokker DR1 Triplane chasing another Sopwith Camel. 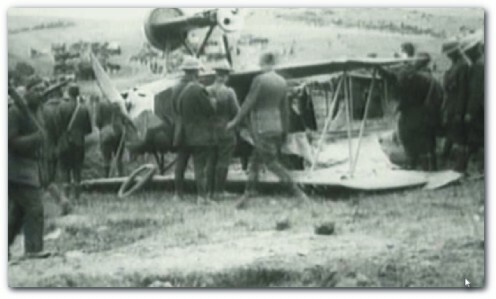 The elusive secret wish of many ANZAC pilots had slipped away; the Red Baron was dead. After his close call Bob Little was not fit for duty again until mid May. On patrol over Neuf Berquin in early morning of 18th May he engaged an enemy Pfalz D111 and forced down the machine to claim his 45th victory. He was 9 times an ace. On 22nd May 1918 the ace’s flight came up against a flight of German Albatross Cs escorting two D.F.W. Aviatik observers below, between Mony-St Leger and Morchies. Little’s flight dived on the Germans with enough surprise to allow the ace to first down an Albatross C and then destroy an Aviatik within the space of 5 minutes. Back on duty a week later, his flight relaxed knowing that this night they would be on night patrol. The last time that he had downed an enemy on night patrol had been a year earlier on the 17th July 1917. During the night of 27th May 1918 Bob Little left his base with three other pilots anticipating the thought of downing German machines on his night patrol. It was not to be; when his flight came across enemy Gotha bombers and engaged them; Captain Robert Alexander Little DSC with bar, DSO with bar, R.N.A.S was sadly, shot down and killed in action. At the age of 22 this remarkable pilot and Anzac Hero; had gained 47 victories and become the undisputable Top Australian and Anzac World War 1 Ace. By the end of the war, 75 Australian pilots were recorded as Aces; collectively responsible for 810 confirmed 'kills.' Of the Kiwi pilots involved, 13 are recorded as Aces and have collectively made 148 confirmed 'kills.' In total, the ANZACs downed over 1100 enemy machines throughout what was humbly described by a returning Kiwi serviceman as "a wee bit of a scrap!" World War 1 gave the ANZACs a sense of identity and comradeship that is reflected in every facet of life today. The men from Down Under fought and died together to ensure that the futures of later generations of us would understand that life is not always a wonderful adventure, without some sacrifice. At dawn on 25th April every year, it is Anzac Day and throughout the world a bugle plays the Last Post as we Kiwis and Aussies meet to honor our Servicemen and Women of World War 1: Lest we Forget. The World War 1 Aces were aged between 19 and 25 years old. Ask yourself: What are you or what were doing at this age in your life. Consider having to be able to act under those circumstances that these young men faced? I don't believe enough can be said to honour the young servicemen from all countries, many of whom gave their lives under the orders of fools and politicians. The ANZACs were volunteers, yet they gave up the cream of their youth of the day for a Commonwealth that gave little back. Not alot has changed has it? Thank you for taking the time to read this story of courage. Copyright © 2009 - 2015 Art of the Diver with all rights reserved. Life Circles: Poems of Hope: They Cant Sink a Rainbow. Haiku of the Samurai Warrior. Come Fly With Me Again Soon. Hi Thomas, thank you for reading this and for your comments. Yes, I totally agree with you, however perhaps I need to rewrite those aspects of this article that relate to what I'm sure has been taken as representing a total contempt on my part of the British General Staff. Factually, the 'contempt' was rife from many of the Commonwealth volunteers towards Douglas Haig and his despicable actions and incompetency, which of course also got British, Irish, Welsh and Scottish servicemen and women killed. The ANZACs really despised the arrogance of the so called 'upper class' who had little understanding of those from other cultures. It was a mutual resentment and Haig's staff did many things to use the ANZACs as disciplinary examples to the other enlisted men. For the sizes of the countries both Australia and NZ gave more men to the war effort (and British Command) and Lost more than any other allied nations. The contempt came from the strategies that had been based on 'acceptable loss' percentages, rather than what had been sold to the volunteers as great leadership with realistic military skills. Douglas Haig's efforts per relevant military documentation, will be released from Top Secret status in December 2018. I'm sure that the world will then know the true cost of having such a blatantly incompetent war criminal leading (albeit from the rear) sane men to their deaths and shooting the known shell-shocked, merely to endorse his authority. I really look forward to the release of his orders etc. although many are to be held until 2068 and sadly I'll miss that day! Cheers for helping me realize that I really should write more articles on this subject.. take care. All wars offer their share of command stupidity. World War One seems to garner MORE than it's fair share. I have to think the sheer scope of the conflict, tied to murderous new weapons, caught everyone aware..particularly, as you so well documented in this wonderful article, the British General Staff. Awesome job! Voting Up and sharing! Great information and I love the topic. Hey Daryl2007 - Kindly Take your Link OUTTA my article! I notice that you were BANNED from here for these very acts of Piracy! Shhhh... Tom Cats! Always Spray the best places don't they! Edit: Cool.. I see that the spammer was shot down KIA.. Oh Well! Hi Wheelinallover, thank you for taking the time to read this history and for your comment. 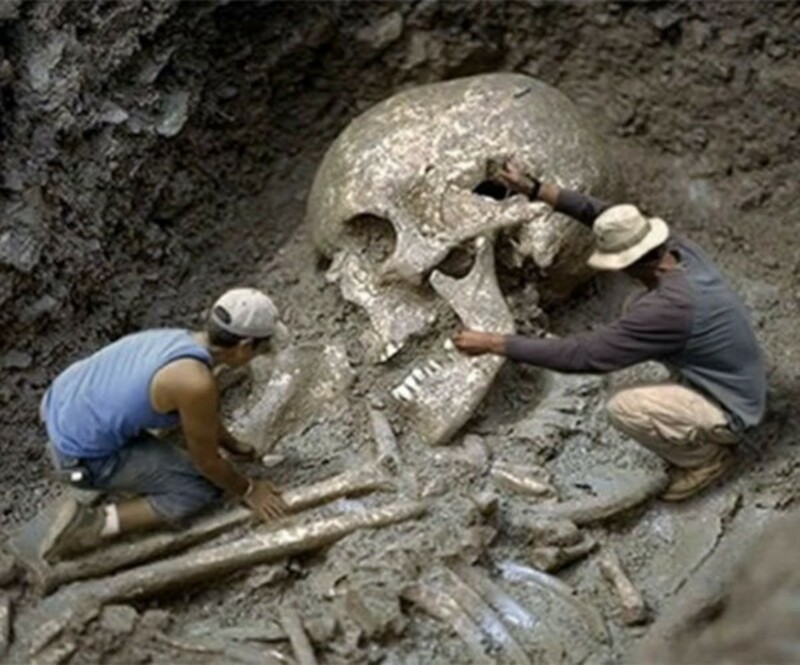 I'm glad that you enjoyed this work and found it as interesting as I did in researching some of the material. Clearly some have learned a lot from this and as a writer, I am very pleased to have contributed towards their knowledge. Good luck with your writing... to really enjoy it, write about the things that you know well.. that's all I do mate.. You Take Care and write a storm. 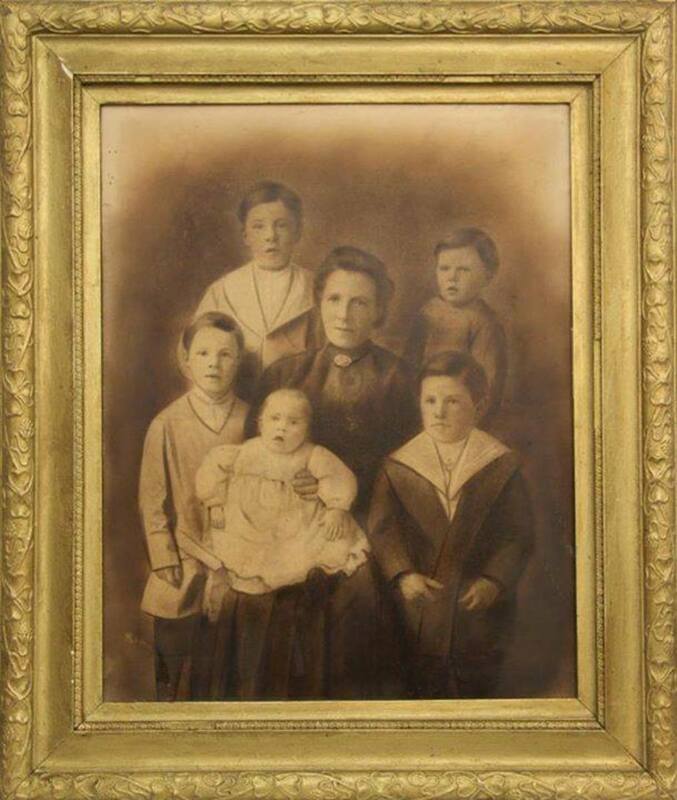 8 years ago from Beatrice, Nebraska U.S.
My father was a History teacher and didn't explain the war as well as you did in this article. I have read very little of your work, and from what I have seen this is what I would like my writing to be like. I can't really explain but it's understanding what a good writer is and trying to emulate. this site was very helpful for my project on flying aces thank you for posting this site it was very helpful. i liked this site because I could read it and understand it very easily there wsa nothing that I didn't understand in this site. It also was very detailed it was exactly what I needed for my poweerepoint. Thank you again for posting this site and I hope more people wil use this site more often I recommend this site to everyone who reads to use it wisely. Hi assember, thanks for reading this work. Yes Billy Bishops certainly was a colourful aviator. I don't think he was ever credited for the true number of kills he made; as he preferred to hunt alone in the skies and I suspect rightfully did so in defiance of British command, who tended to be 'slow' in recognising exceptional non British efforts. Take care. Hi Rebecca, Thank you for your wonderful comment and for reading my work. This hub is one of several that I am doing. Thanks again. Take Care. Thanks for this wonderful hub on World War I, wish you'd do more of them! Pete? Damn, I've been rumbled! No mate... its koshar Pete. No mate.. CIA... Can I Abort? Nope not that either... There's a shortage of parachutes. Have a good one Pete. Oh good, not a CIA plant.